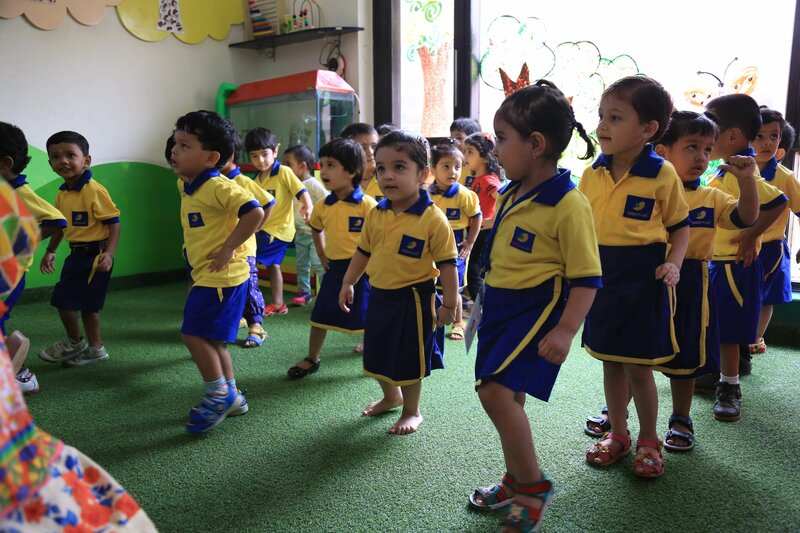 Along with reading, writing and Math readiness, this year aims at building self independence and self esteem of the child. The children begin to use their mathematical understanding to solve practical problems. Through practical activities children understand and record numbers, begin to show awareness of number operations, such as addition and subtraction. Matras are introduced & the child begins to read simple sentences in Hindi. Academics continue with extracurricular fun.